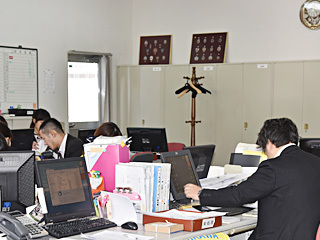 Delivery Ware House - Business | YOSHIKAWA Inc. 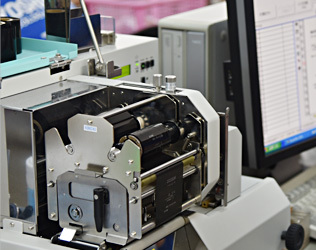 The problem is something wrong with printing data of the Ingredient label,Washing name or Barcode label in printing produce. For computer input information miss; for handwriting misunderstanding; theseare the main season in printing produce. So we developped our Printing System, directly input customer's instructiondate to Printing System, and it can transfer the date by floppy orinternet. 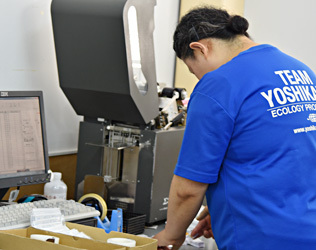 After printing course, we check the size, ingredient and colorof care labelor tag label again. And then except the size, we need assort by type of bag, sealand colorset. 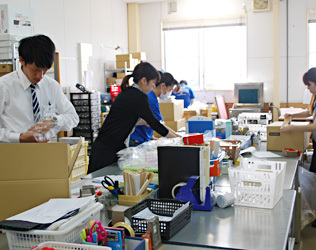 The other worker packing productes, and keep the type onthe package when they carefully quality inspected. So it is important to see that everything is accurate. When the customer receive these production, they can use it quickly. It is always acceptable from customers. 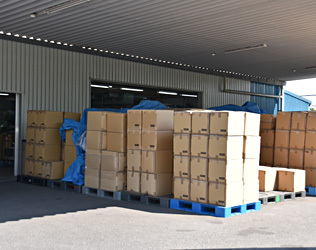 When we finished the quality inspection and products assort, and then sent these product to specify factory of customer before the time of delivery. Because we often sent the production to overseas: China, Indonesia, Burma, Cambodia, Bangladesh and India, we made management system to manage packing material and transportation cost. Expect Japan sent production to overseas, from Kunshan factory sent the production to domestic customers in China and asia countries. Our Logistics system very faster and accurate. 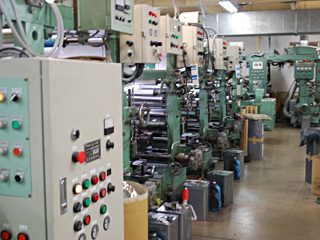 That is not only sent woven name, tag, care label etc in domestic Japan, but also to other oversea factory.